Batán, Costa Rica is your average small town, with family-operated businesses ran out of the home on nearly every block. One only has to mention a need and someone will say, “I know someone who can help you with that.” The town is lined with elderly residents rocking on metal porch rockers and babies running around the yards. It’s the kind of town that recognizes its people. They have a Facebook page to highlight significant members of the community, and the town is most proud of its holiday parades complete with school bands and dancers in traditional dresses. There are a number of inexpensive real estate options in Batán.Foreigners are not many in the area, but they are certainly welcome. Because it’s a town that foreigners on the whole have not found yet, prices are still very affordable. Currently, a home in Batán will most likely cost under $100,000. Batán is about 15 miles from the nearest beach, and the views from properties are typically of the town or the rainforest. There are vacation rental homes for less than $200 per month. Large working farms can be bought as an investment for between $100,000-$500,000. Homes in the area tend to be simple and have room to expand and become more luxurious. Materials for construction are inexpensive because of the town’s proximity to the port and there are a number of town lawyers who can gladly assist in getting the necessary building permits. 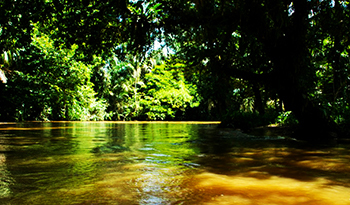 In Batán, one has the rare opportunity to get in on a secret piece of Caribbean jungle for a great price.